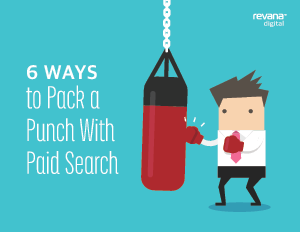 Paid search marketing has come a long way from keyword searches. Thanks to advances in technology, brands are shifting from targeting keywords to targeting people at key moments. Additionally, Google recently made significant changes to its search engine results pages. Right-rail ads have vanished and Google Shopping ad units are displayed more prominently on mobile. Other innovative changes are also on the horizon. In this e-book, we identify six key areas of paid search advertising that are positioned to upend the marketing landscape and offer suggestions for how to take advantage of those trends.